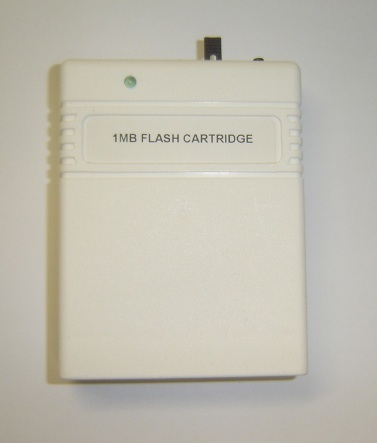 AlienFlash is a 16MB Flash cartridge with EasyFlash compatibility, USB support and an AR Freezer Cartridge mode. 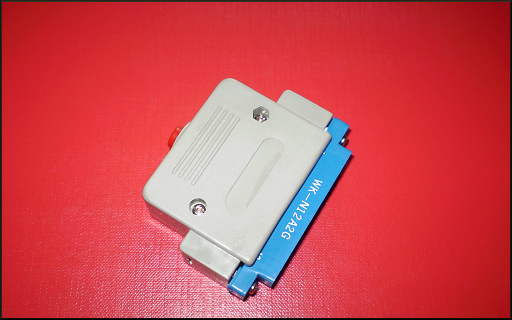 AR freezer mod "Compatible with AR 4.1 onwards"
Alien Flash Transfer program "Windows"
Various EasyFlash / Alien Flash releases: please register and add your own or email links. Good news, no more transferring with terminal software for Alien Flash Hannu Nuotio has released "afapack v1.0 - tools for Alien Flash". Hannu has released a win32 executable of the GUI along with a command line version. D64 images is now a whole lot easier. 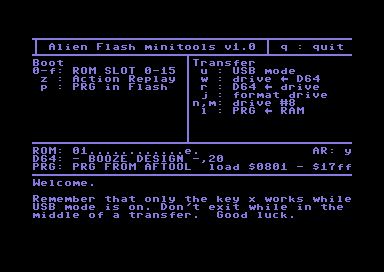 A very nice replacement for Alien Flash Tools "Alien Flash minitools v1.0" has also been released as part of "afapack v1.0 - tools for Alien Flash". 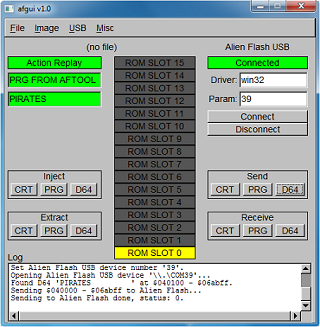 It can be downloaded as part ofÂ the Alien Flash GUI download that was mentioned in the above post. Source code can also be downloaded. Because Powering On and Off Aint!